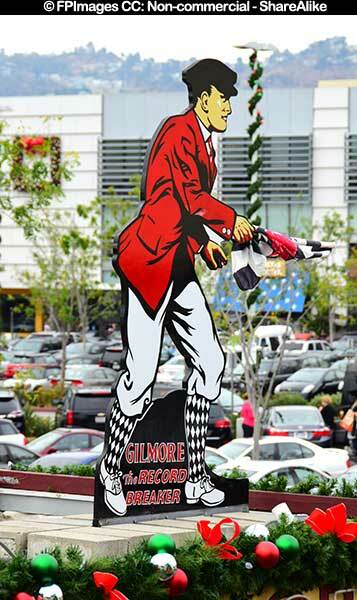 Somewhere between West Hollywood and Beverly Hills one can find a unique Los Angeles attraction – farmers market. Exact address is Fairfax at 3-rd street intersection. 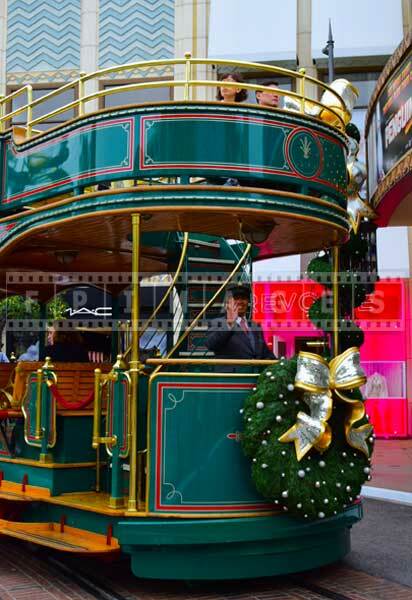 It is about halfway between Santa Monica boulevard and Wilshire boulevard. One useful piece of information to plan a trip to Los Angeles farmers market is that parking is free for the first two hours with validation from the market vendors. 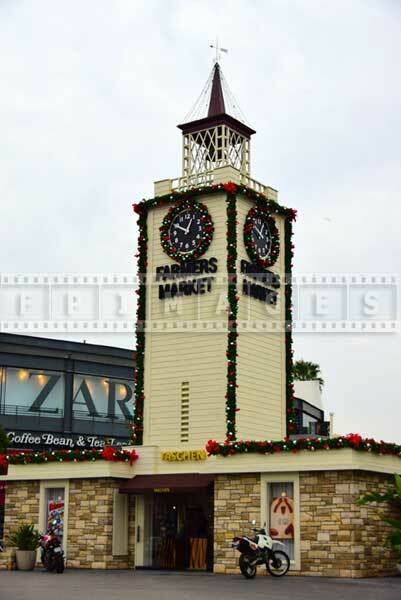 Farmers market is easy to recognize because of its iconic clock tower. 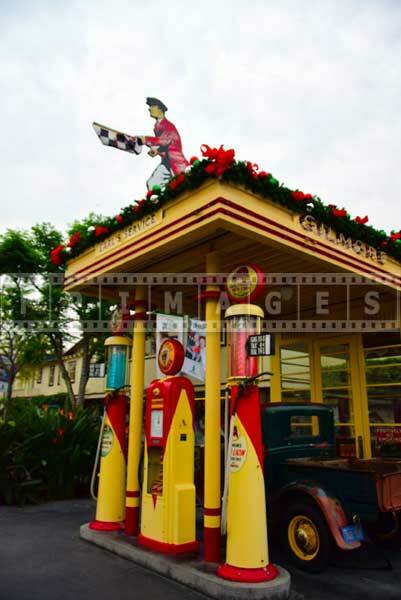 Historic Gilmore gas station reminds visitors about the roots of this place and is also decorated for holiday season. 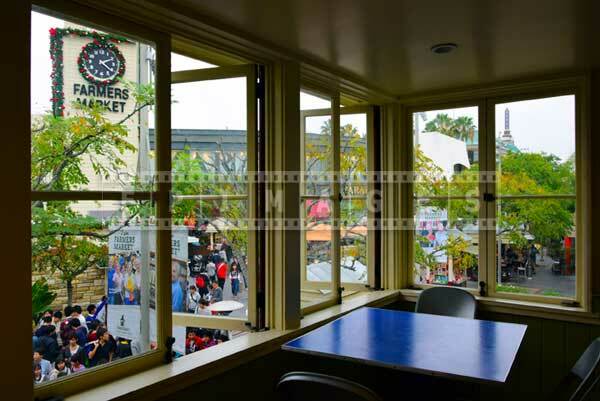 Los Angeles Farmers Market has mostly food vendors and couple of souvenir shops. It is very popular with the locals not only tourists. There is an excellent selection of gourmet meats and seafood, there is an old fashioned ice-cream stand and many delicious pastry shops. Couple of grocery stands sell fresh produce. If you want to have a bite in a more quiet surroundings, make your way upstairs where you will find more table available and can relax and rest. 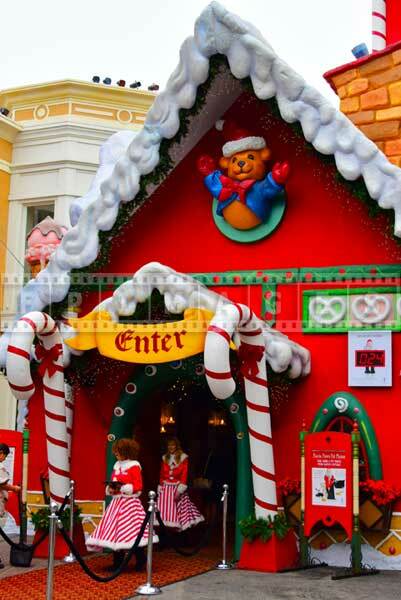 The clock tower and market stands are well decorated for Christmas and create great holiday atmosphere. 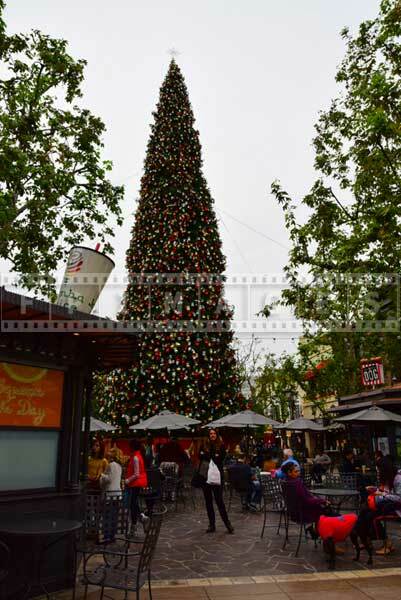 Another reason to visit farmers market is the Grove. 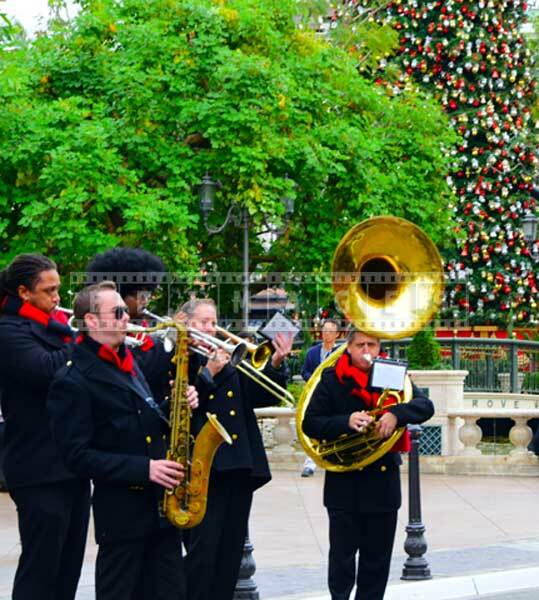 The Grove is a shopping, dining and movie theater district. 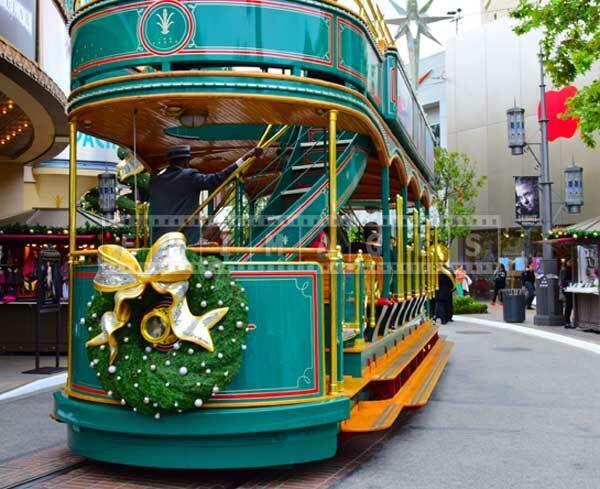 It features a free trolley along its main street, dancing fountain and has many beautiful outdoor Christmas decorations. 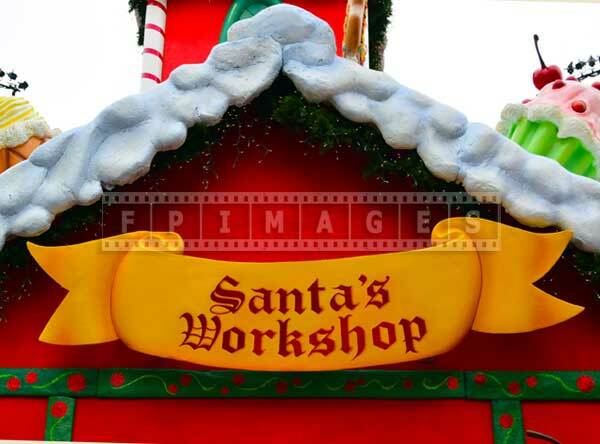 These include Santa’s Workshop and reindeer sleigh flying high above the fountain. 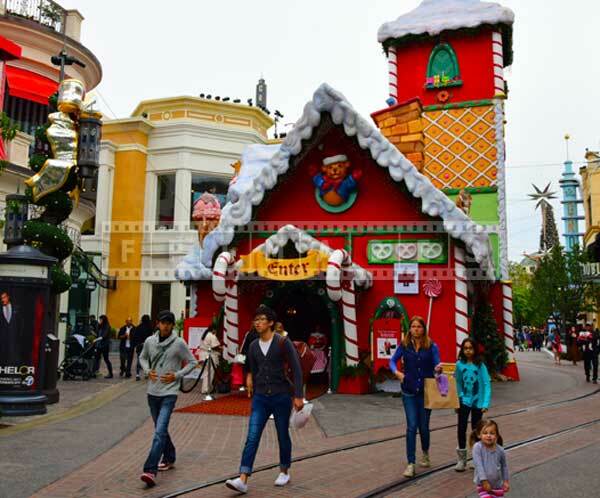 Plan a trip to Los Angeles Farmers Market, enjoy goof food and have fun at the Grove.